Being a leading enterprise of this industry, we are offering a huge range of Forging Ingots. Specifications of Stainless Steel Ingots in 200 & 300 series. - Sizes from 3"x4" to 18"x21"
- Hot Top Grind and Full Grind. We are manufacture Forging Quality Ingots in carbon Steel & Alloy Steel as per IS, BS, ASTM, DIN, JIS standards etc. Other grades can also be developed as per the requirement of the customer. Being a prominent name of the industry, we specialize in manufacturing and supplying a commendable and sophisticated assortment of Forging Ingot. - Used in metallurgical production. We are an ideal option for procuring Stainless Steel Forged Ingots which are made of highest quality Stainless Steel. We are renowned for providing durable, flawless Stainless Steel Forged Ingots. Our Stainless Steel Forged Ingots are widely used in various sectors of Automobile, Engineering and Infrastructure Industries. Our Stainless Steel Forged Ingots are fairly priced. We provide a comprehensive range of Forging Ingots, made ingots from high standard sponge iron and scraps. These are used extensively in processing of various components such as valves, pumps and impellers. Our range of Forging Ingots is known for durability, long life and sturdiness, along with superior performance for long periods. Vicor group is manufacturing Forging Ingots in various grades of stainless steel and alloy steel up to 7 MT in square as well as fluted. Needless to specify, our forging ingots comes with forging guarantee with no surface defects and cracks. We procure quality Forging Ingots which are manufactured using premium grade steel. 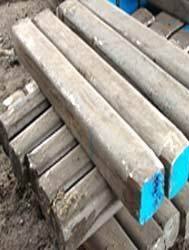 These ingots are corrosion and chemical resistant, durable in quality. Widely used for different industry applications, our range of MS ingots are available in standard and customized specifications depending upon the clients' requirements. Our principal can offer Forging ingots of weight till 415 ton, produced from: carbon, low-alloyed, alloyed, high-alloyed corrosion resistant, rolling, construction, casting grades of steel, grey, high-strength cast iron and cast iron with vermiculite shape of graphite. As part of the new facility an ingot shop was commissioned in Financial Year 2009-10. The plan was to use 60% for own consumption (in the forged shop) and 40% of ingot castings were to be sold directly to several customers. The capacity of ingot shop is 24000 Metric ton per annum. We manufacture and supply forging ingots, which finds extensive applications in the manufacturing process of bearings, sleeves, pressure seal casting and ordinary mechanical parts. These forging ingots are widely appreciated by the clients for their high manganese structure quality and durability. 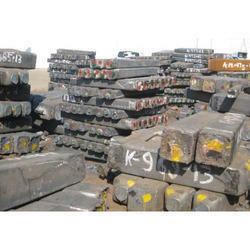 Kisco Manufactures premium quality alloy Steel ingots in varied sizes. We offer Ingots with hot top manufactured through Bottom pouring process properly degassed in our vacuum Degassing (VD) set up. We manufacture following grades commonly. Our steel manufacturing shop is capable of producing the Special Steel for Aerospace, R&D Labs, Tool & Die Steel and Forging quality ingots of all international/ national specifications of all categories like stainless steel, alloys, carbon manganese steel, Carbon steel etc.. The product is used for direct upsetting forging open die forging and other engineering cases.